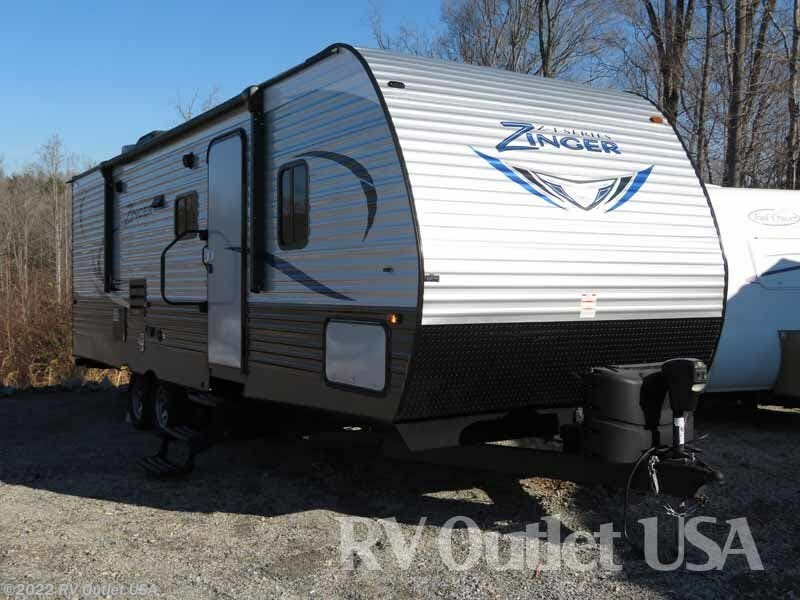 SLEEPS (8) PEOPLE ** WEIGHS ONLY 6,074LBS ** 1/2 TON TOWABLE! 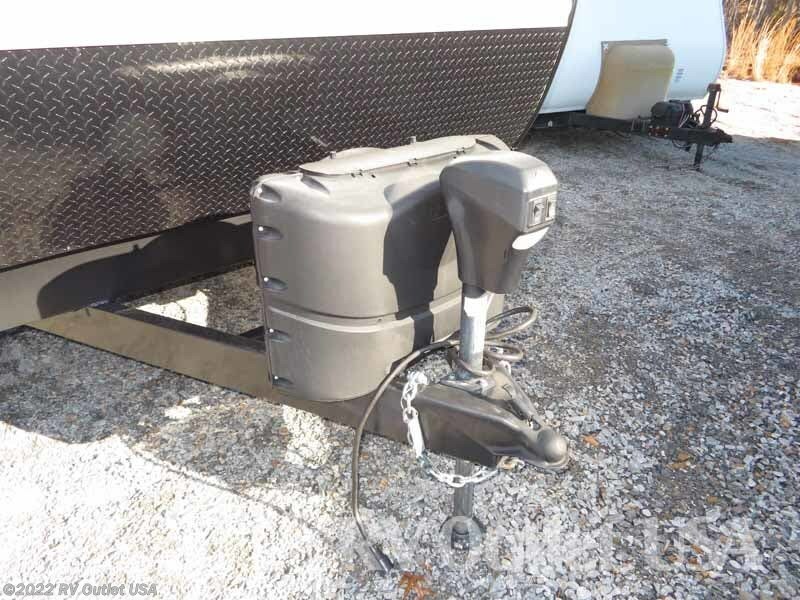 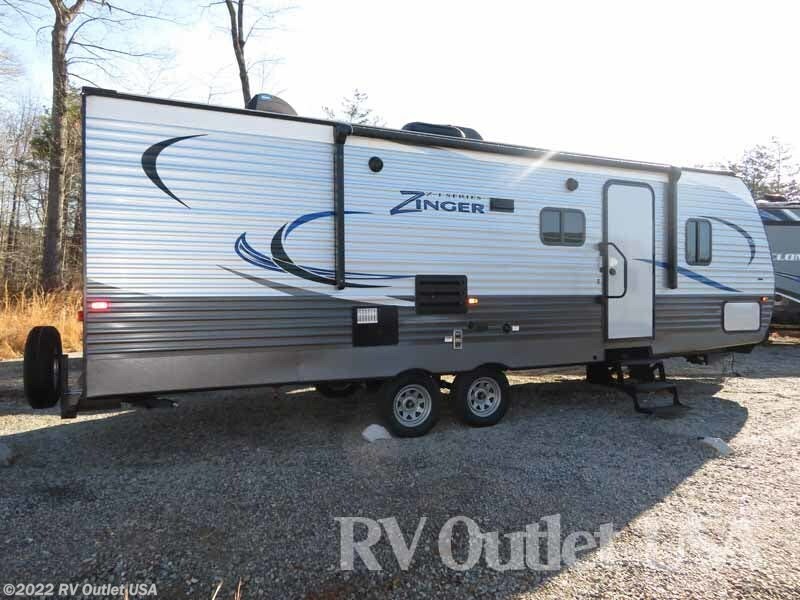 If you're in the market for a super clean, and I mean super clean bunk house travel trailer, then you really need to take the time to walk through this 2018 Crossroads Zinger that we just took in trade. 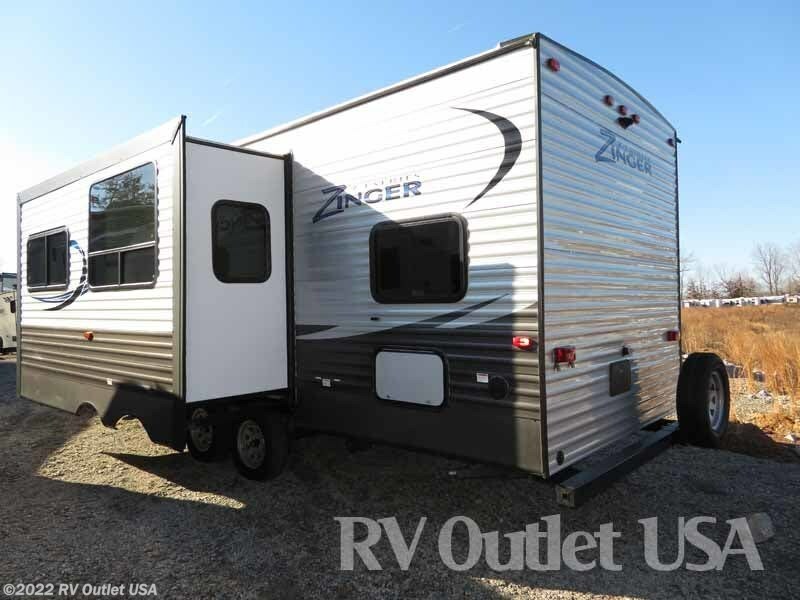 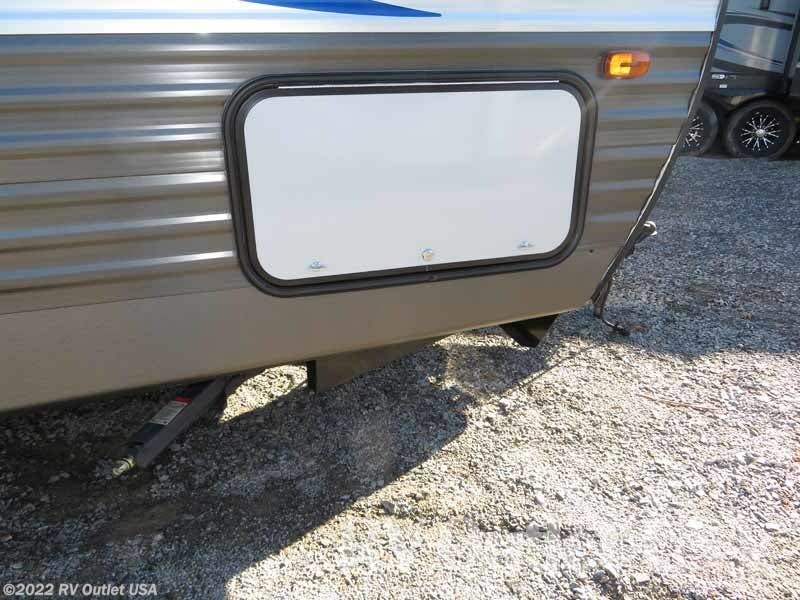 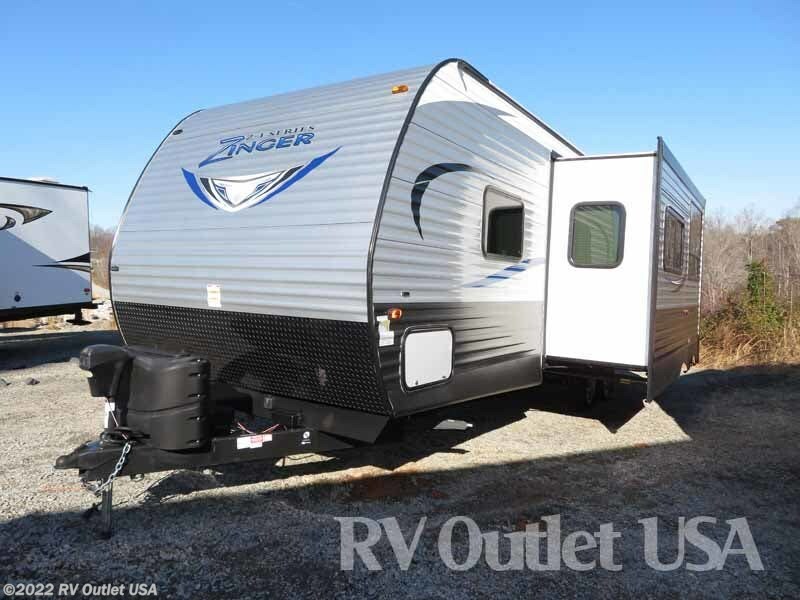 This RV is 30' long, weighs only 6,074lbs which is perfect for any 1/2 ton truck or SUV and has a ton of very nice features! 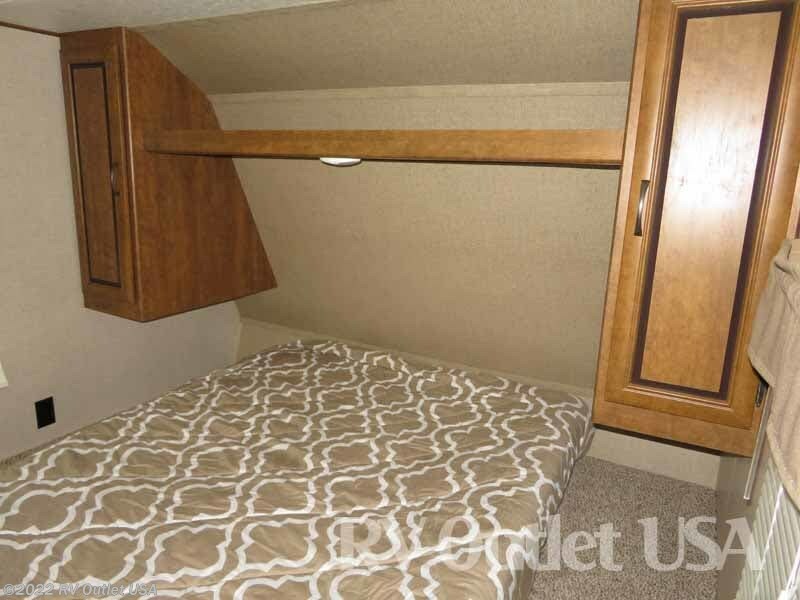 The 272BH floor plan has a walk around front queen bed with underneath storage, over head cabinets and wardrobes on both sides of the bed for extra clothes storage. 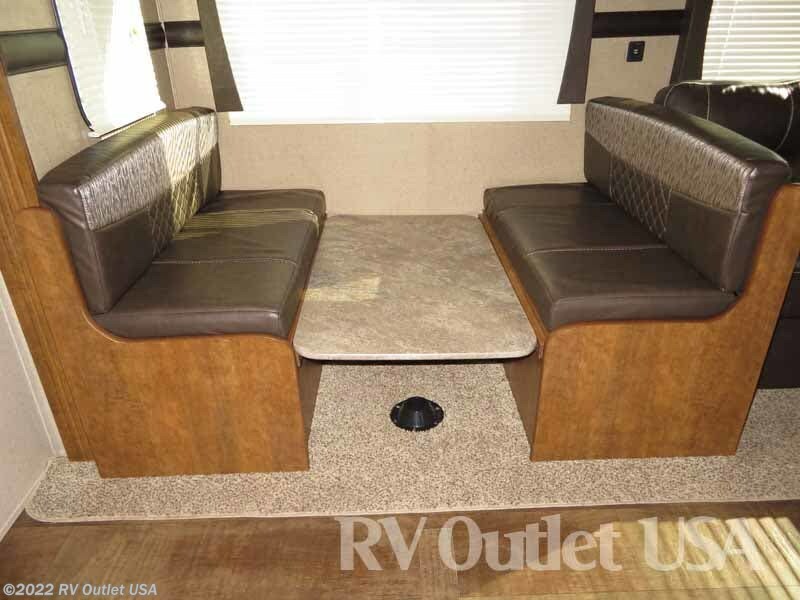 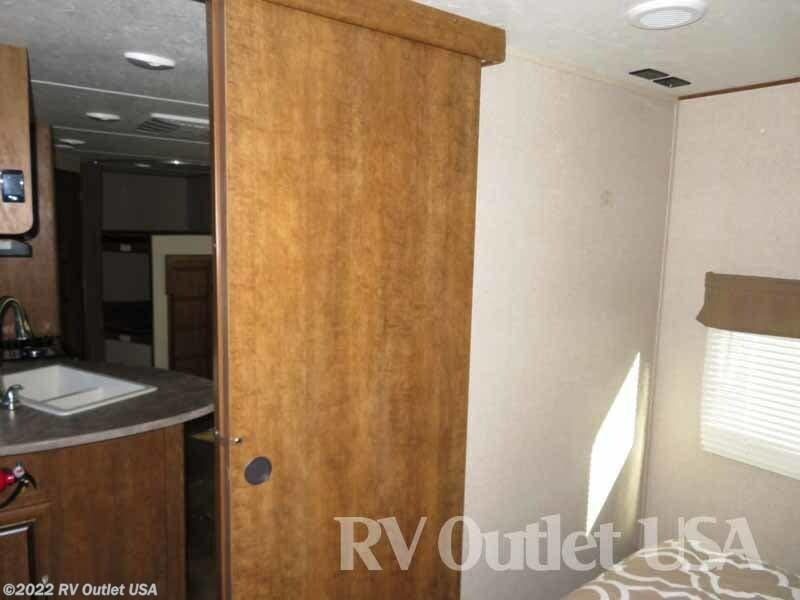 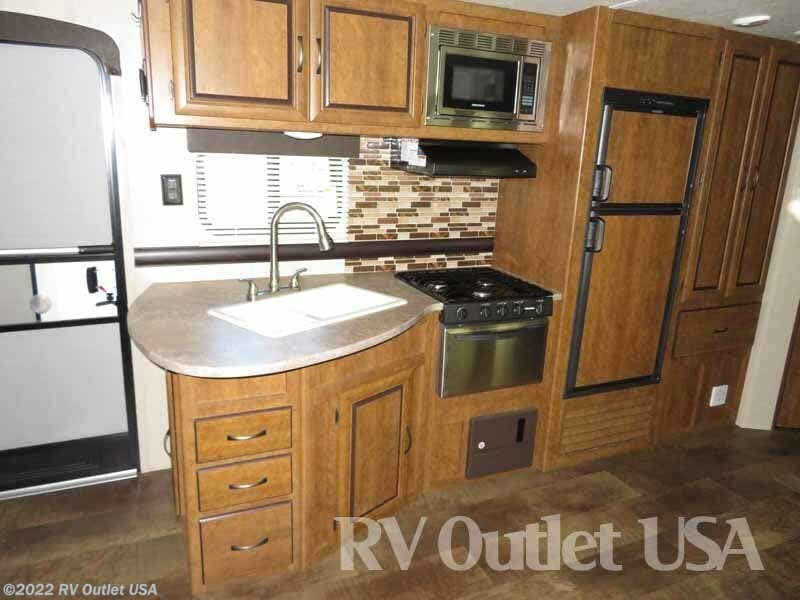 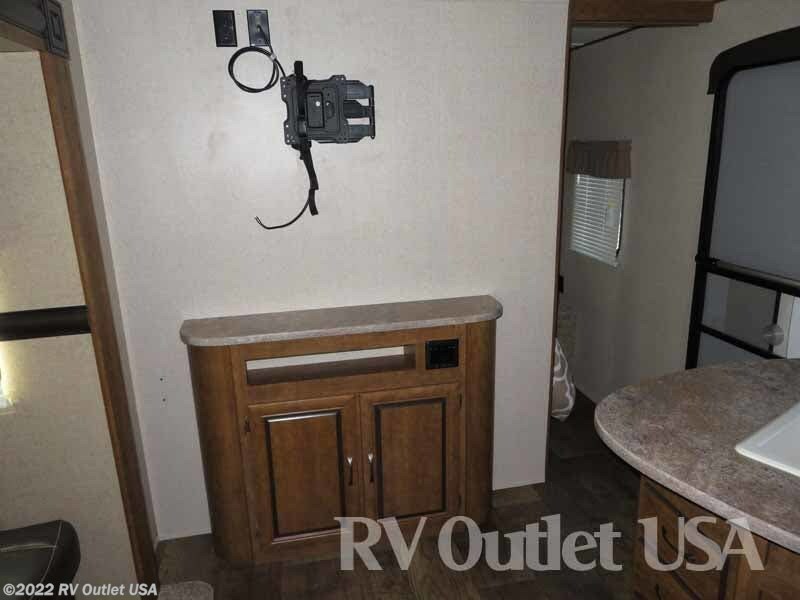 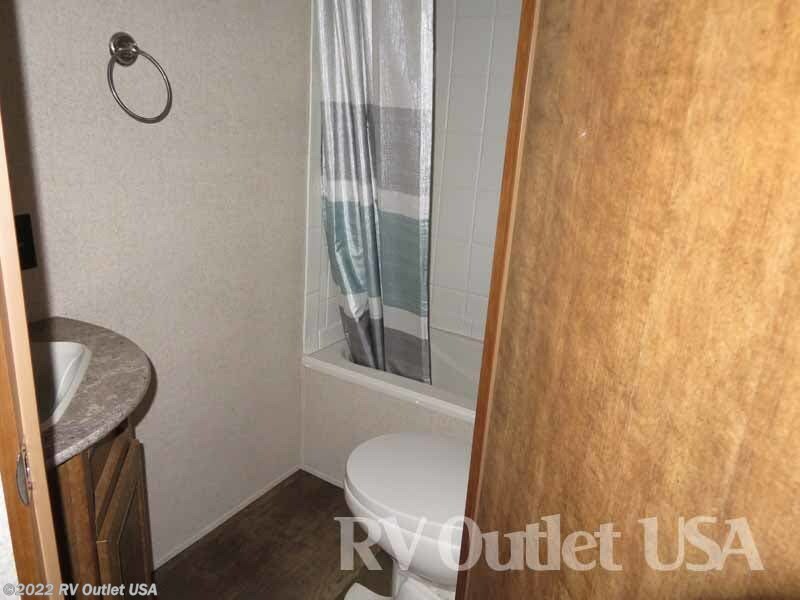 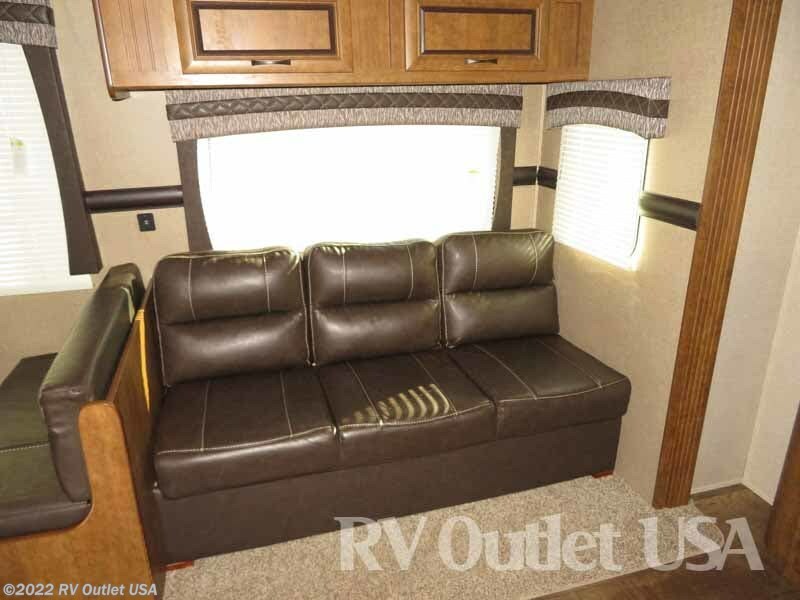 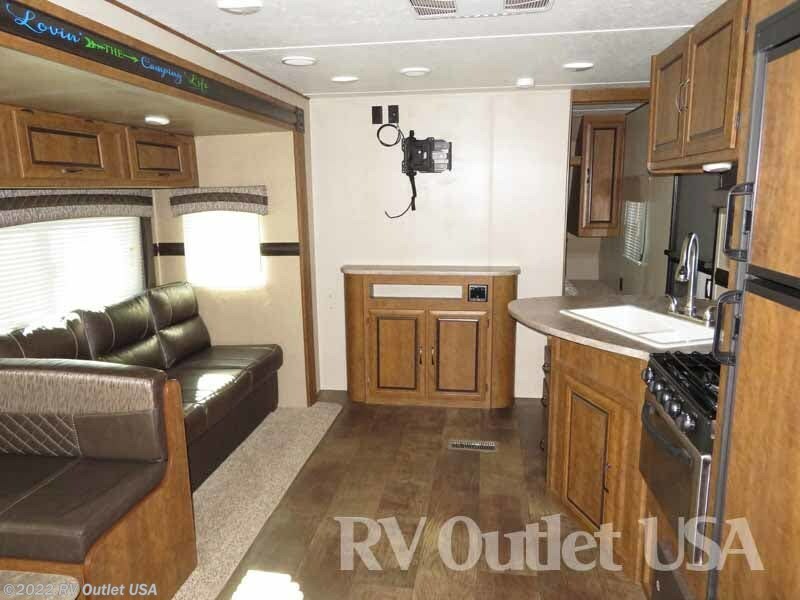 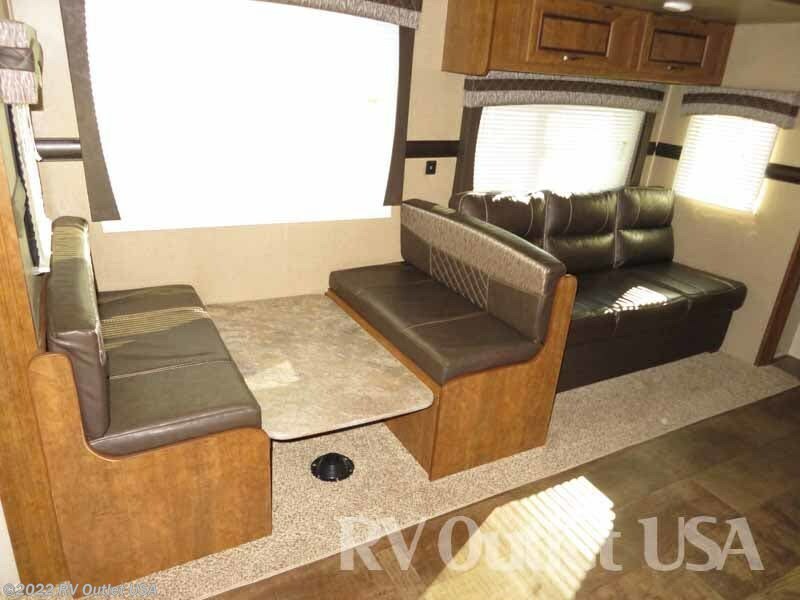 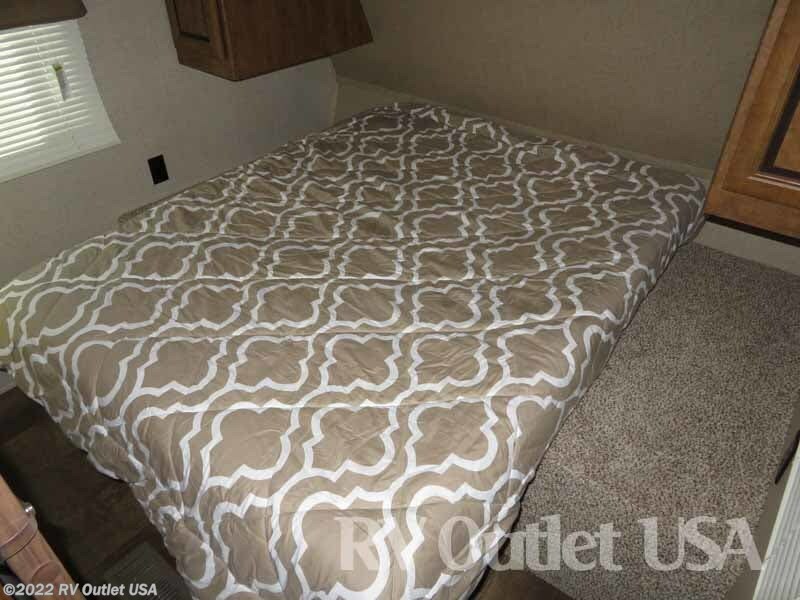 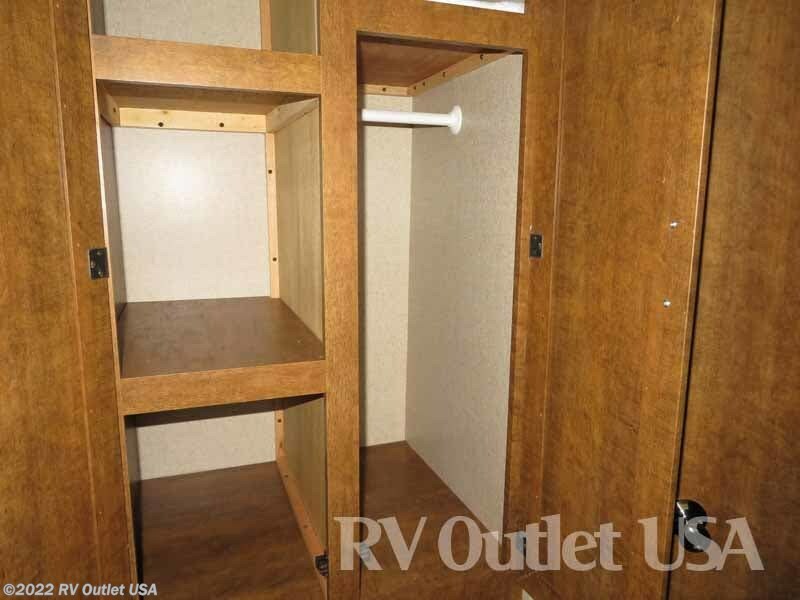 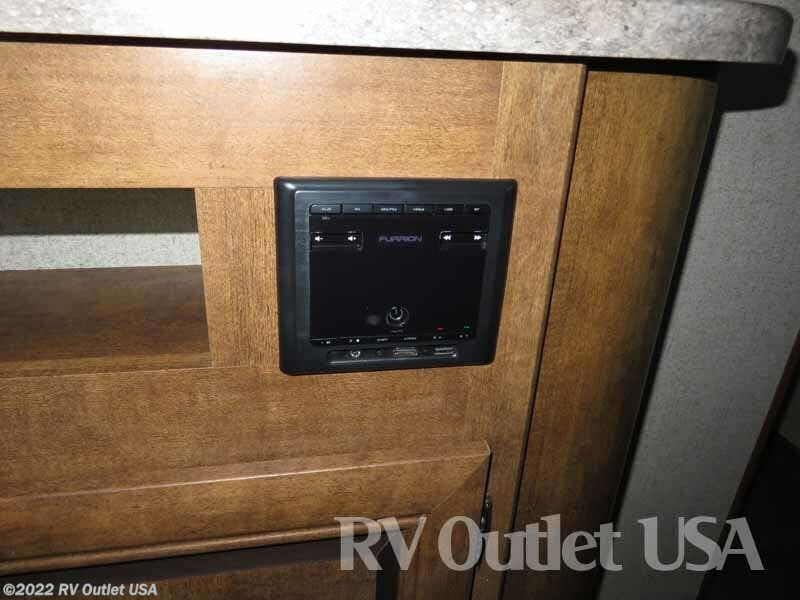 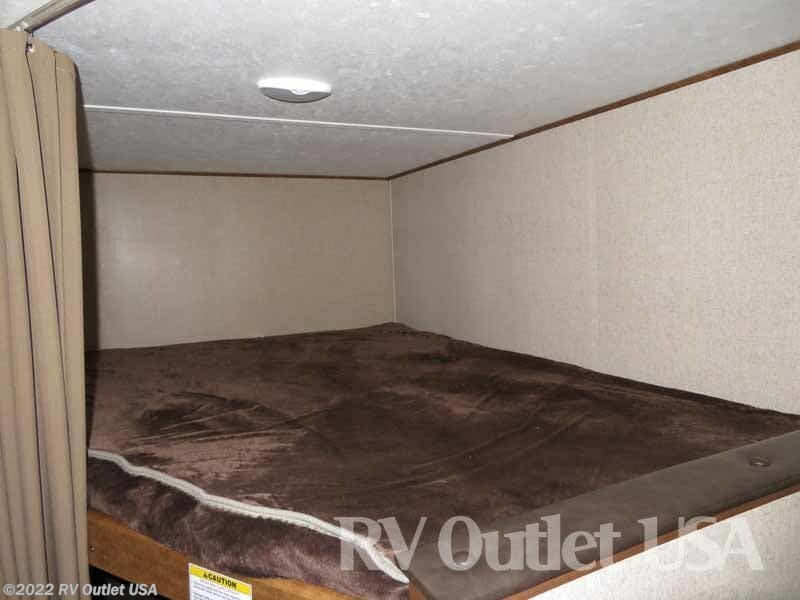 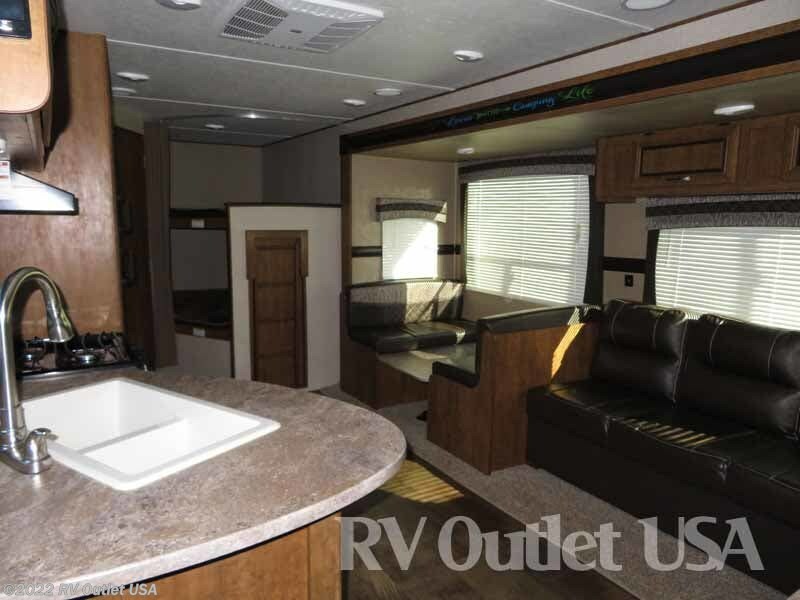 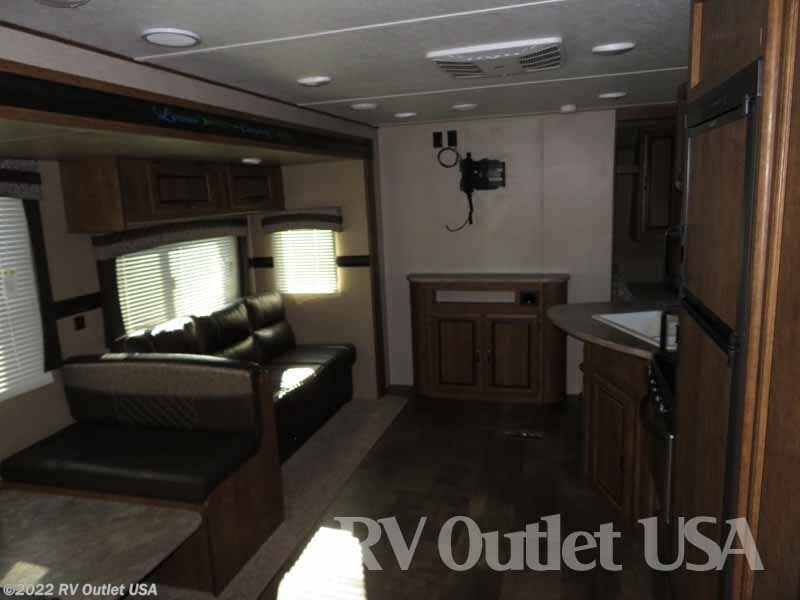 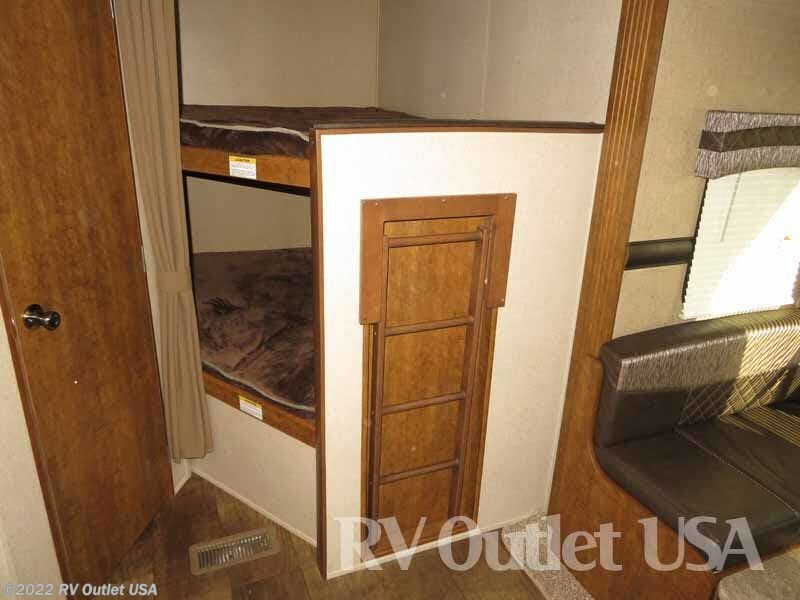 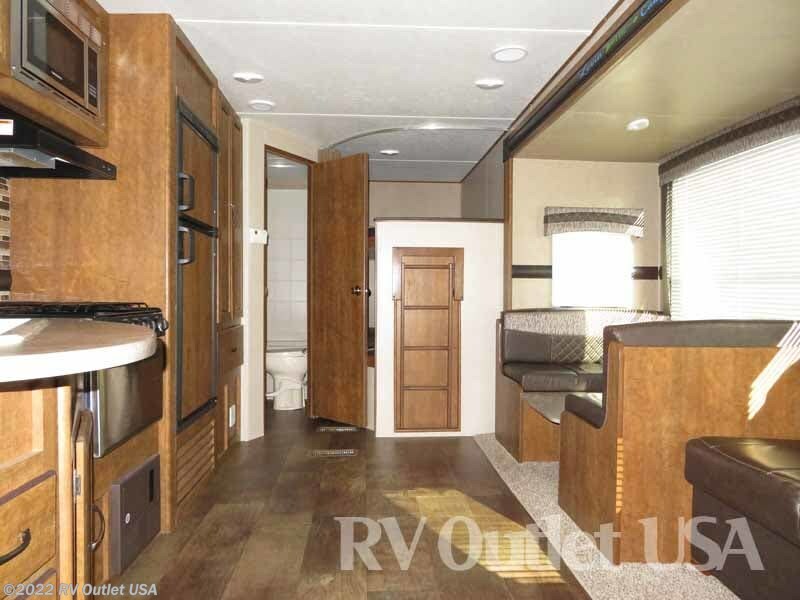 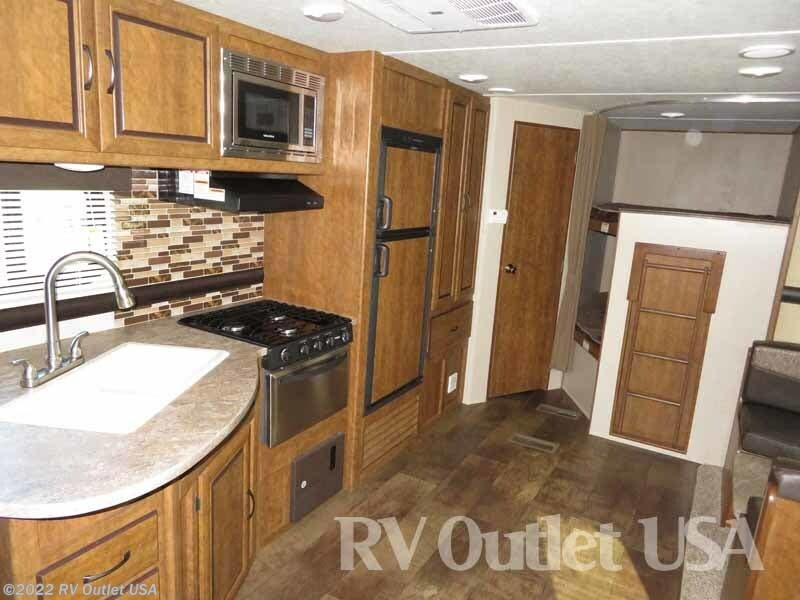 This floor plan also has a 3/4 front wall which separates the master bedroom from the rest of the RV which gives Mom and Dad a little extra privacy. 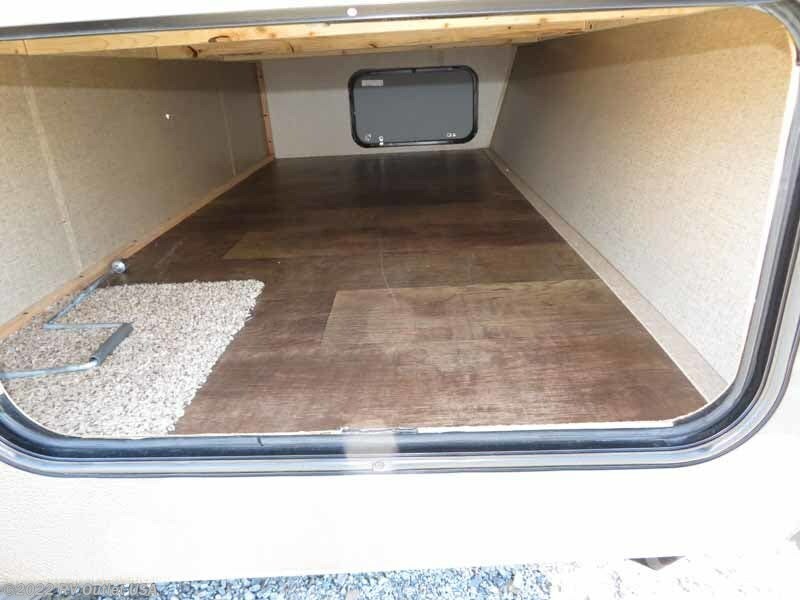 It has a huge super slide on the off door side which has a 64" sofa towards the front and a large booth dinette towards the rear which also converts into a bed for extra sleeping room. 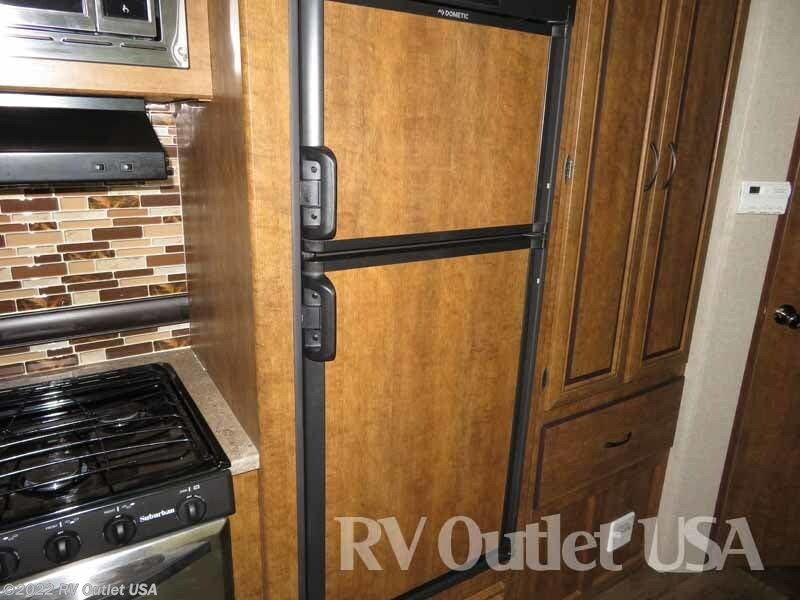 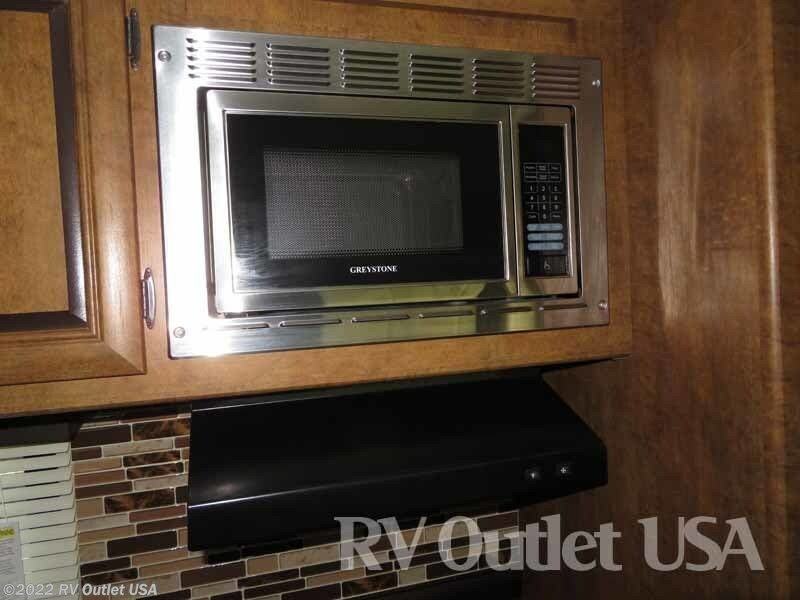 Across from the super slide is a full galley (kitchen) with a (3) burner cook top with oven, double sink, over head cabinets, an over head microwave oven with an exhaust hood, a double door refer and a large pantry for food storage. 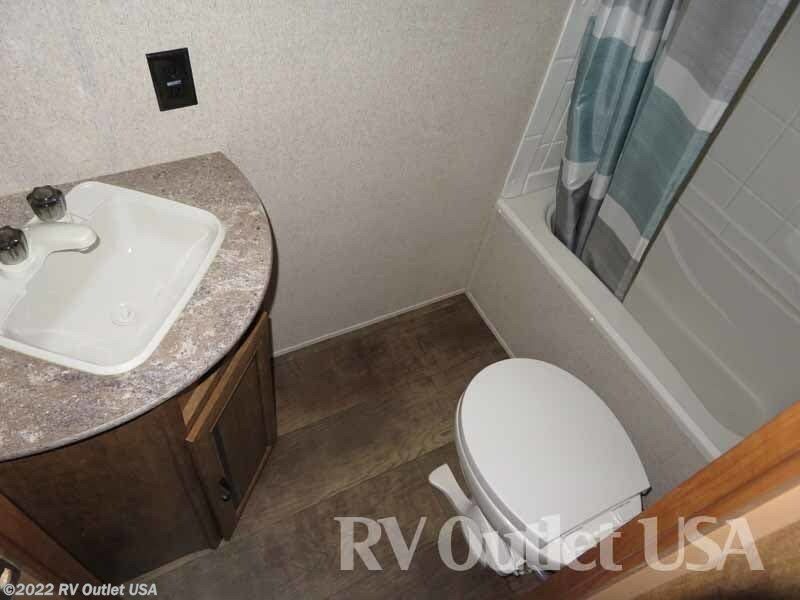 Towards the rear is the bathroom on the door side with a tub/shower combo, sink with underneath storage, a toilet, and a medicine cabinet. 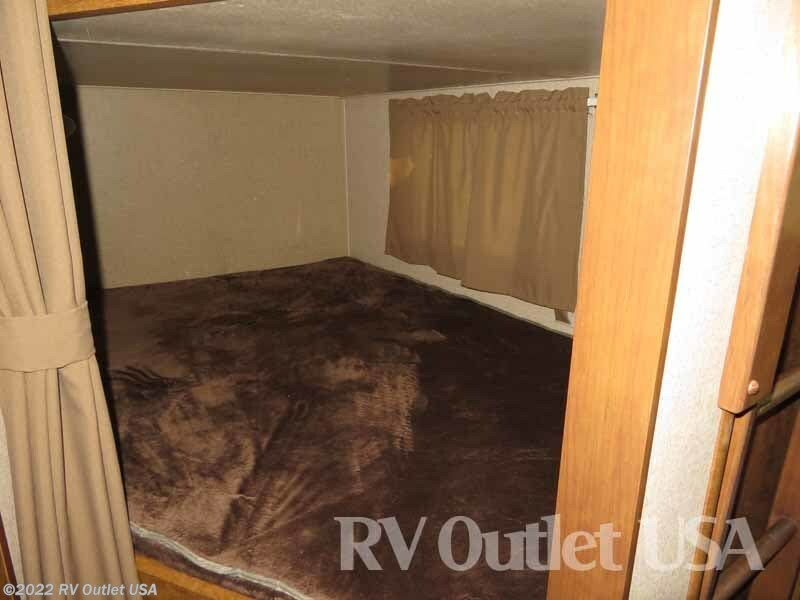 Next to the bathroom is the bunk room with (2) double size bunk beds!! 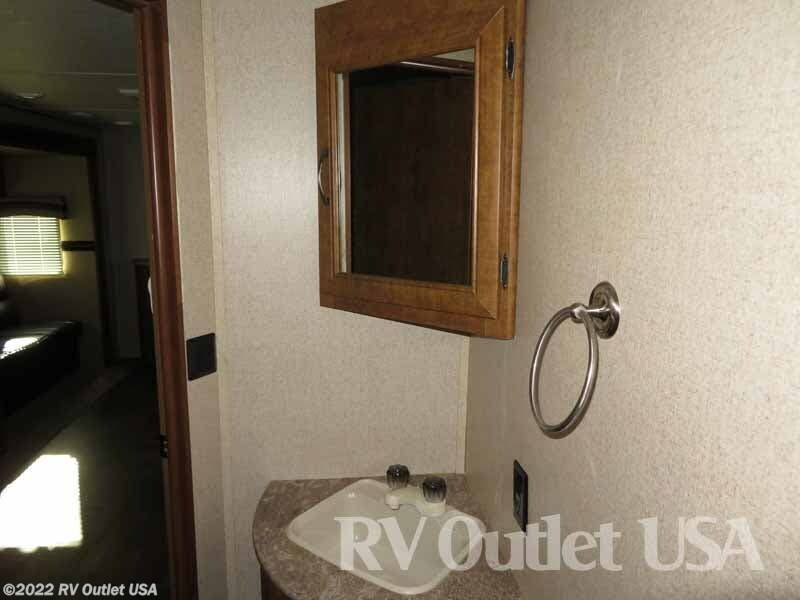 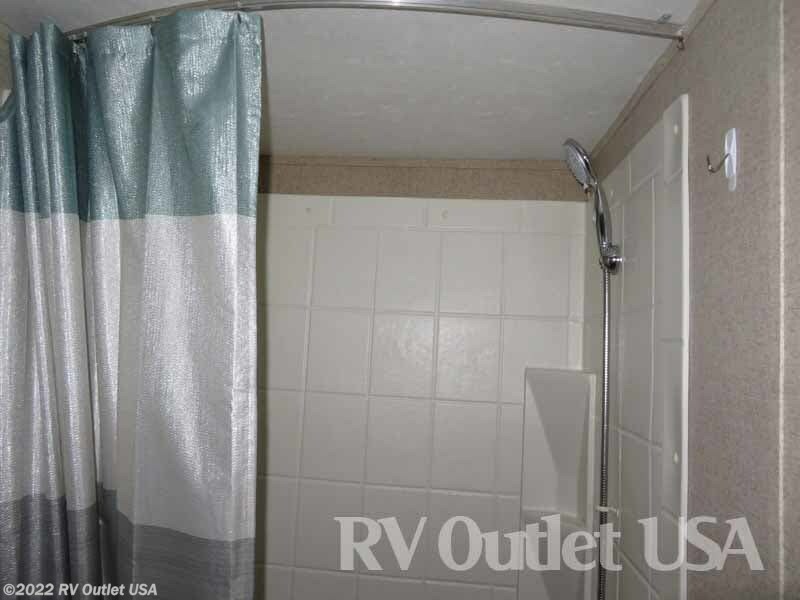 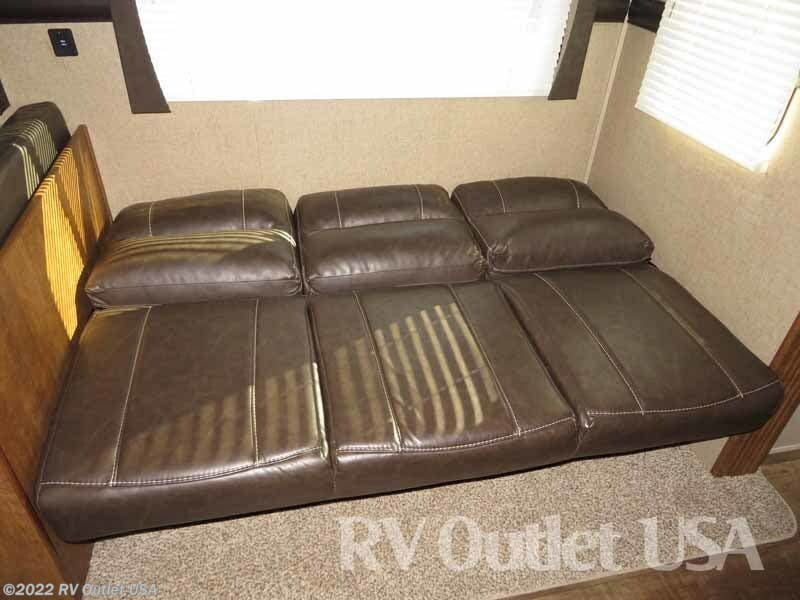 This is a very clean RV inside and out! 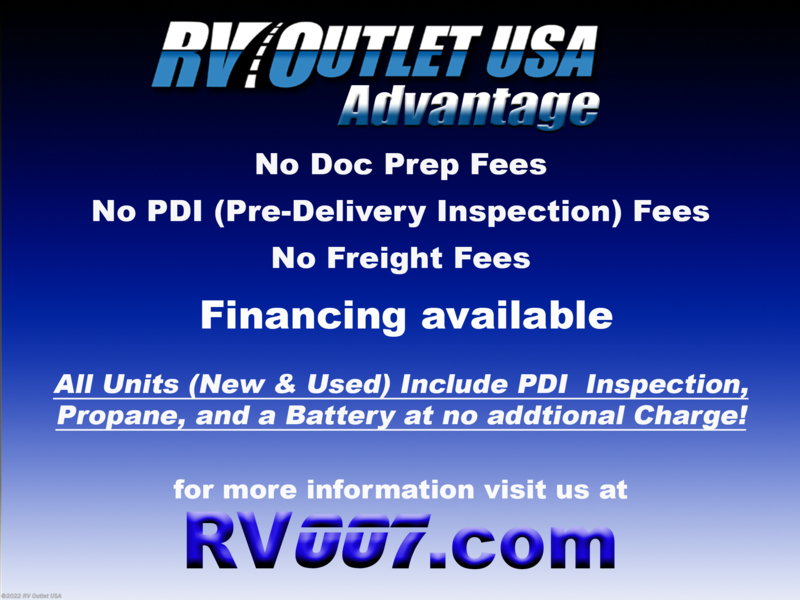 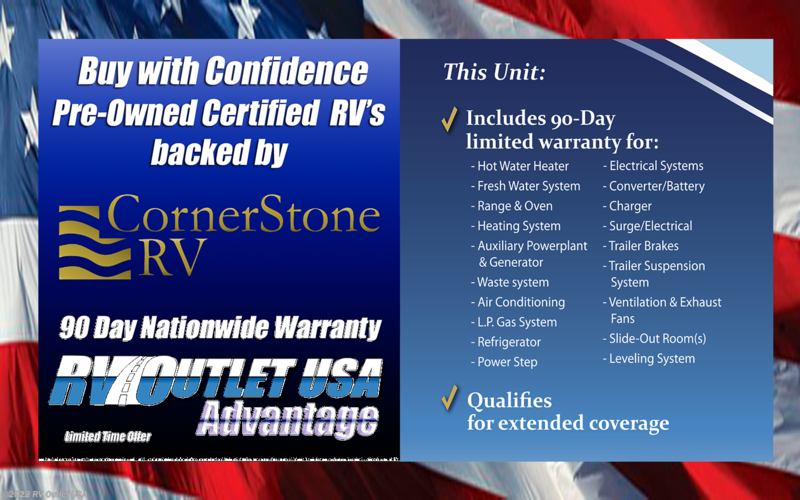 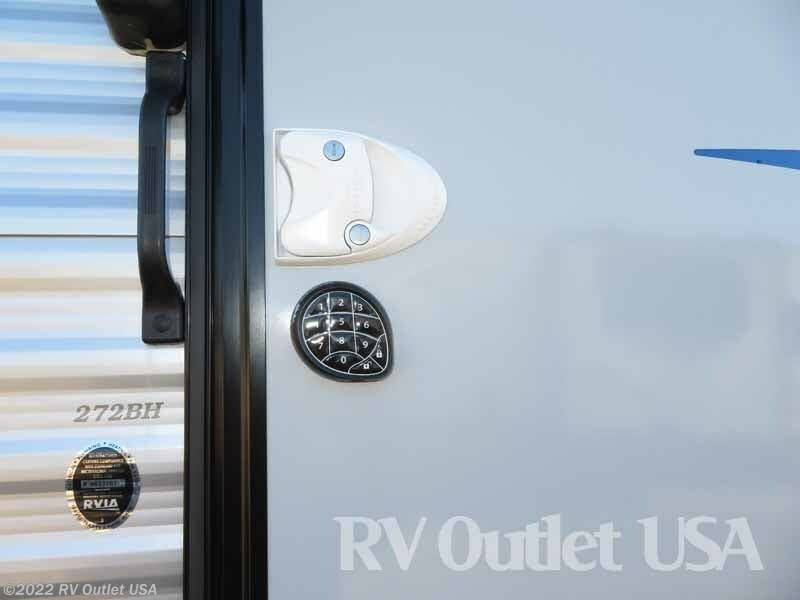 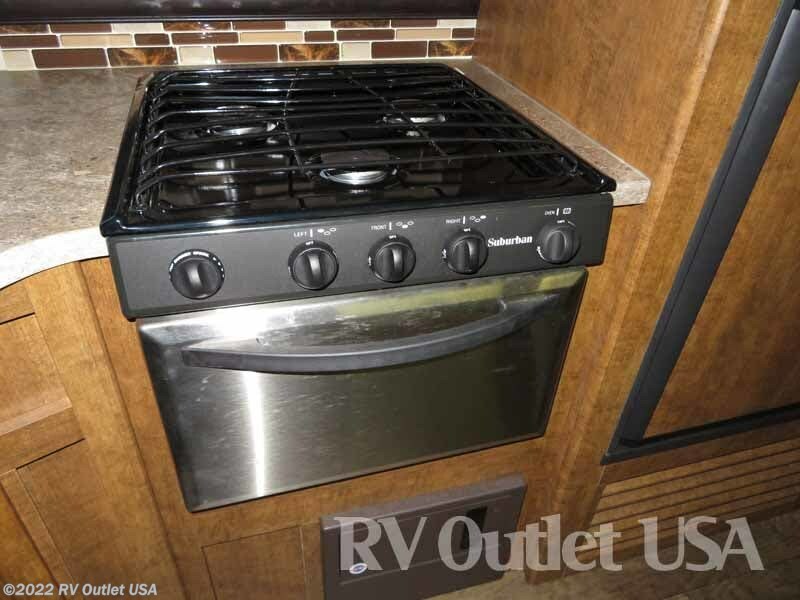 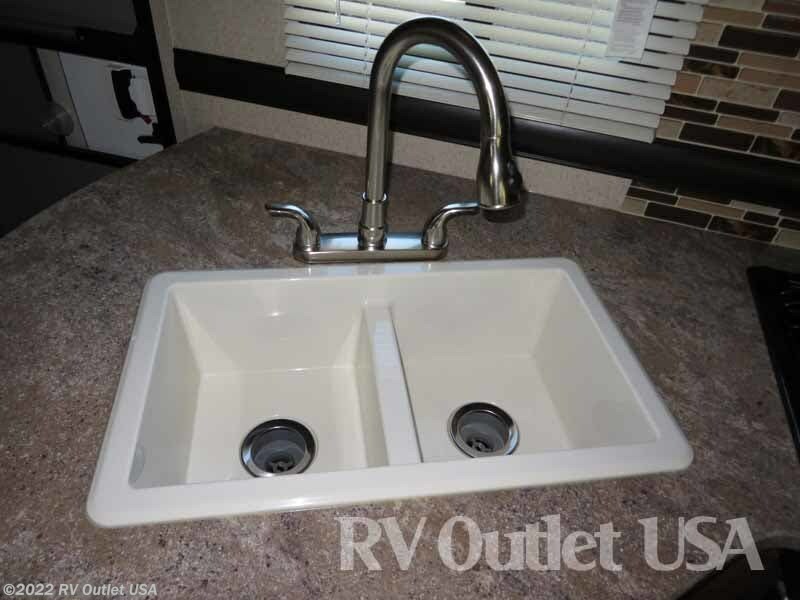 If you have any questions about this or any other RV we have, please feel free to call us at 888-299-8565 and ask for sales, they'll help you any way they can and keep this in mind, we have NO DOC, PREP, PDI, TRANSPORT or any other fees here!! 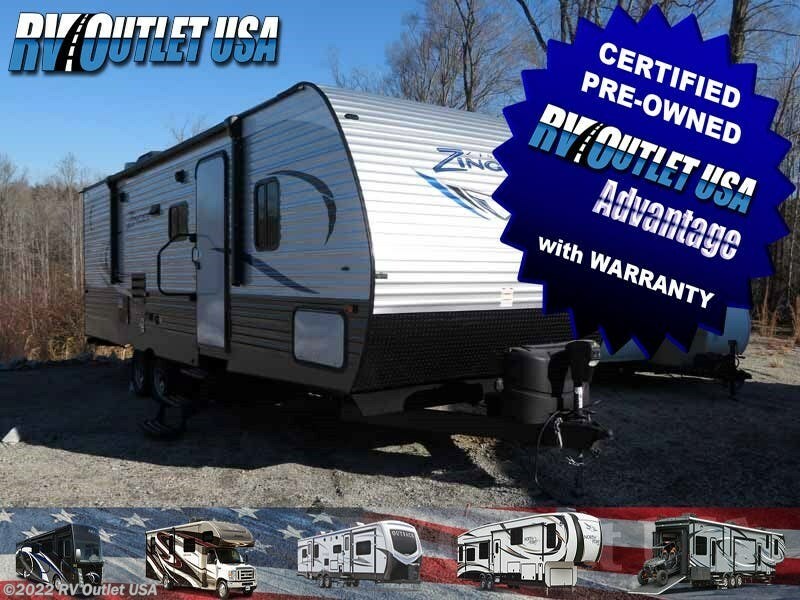 We also offer our customer huge discounts on weight distribution kits, parts and accessories!